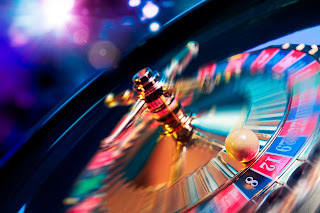 Gambling is a worldwide activity that has been around for much of human history. However, in modern times it has scaled like never before due to technology and public acceptance. Elected officials see the financial benefit of gambling, making it more accessible, and the church has muted its opposition. The gambling industry in partnership with government and business have conspired together to produce a masterful public relations strategy. It promotes gambling as a fun recreational activity that also provides needed public funding for education or other worthy causes. On the surface it all seems innocent, but at its core gambling is a wretched vice. This evil is built on a flashy, well-orchestrated scheme of stealing. Except, rather than doing it secretively, players willingly fork over their cash hand over fist. They give the card dealer, the grocery store clerk or the online website their hard earned income in return for a false hope of a jackpot rarely seen. The Scripture is spot on when it comes to gambling saying, “For the love of money is a root of all kinds of evils. It is through this craving that some have wandered away from the faith and pierced themselves with many pangs” (1 Timothy 6:10). The love of money drives this evil and its misplaced love has caused people to wander away from their jobs, families and God. Yes, our businesses and families need to make an income to survive, but let us do it with a moral conscience. Do what is wise, right and good. Start by turning to God for His help in providing answers where there is financial need, no matter if it is in the hundreds or millions of dollars. Then let us patiently wait for His answer, turning from relying on our own wisdom. Real hope is not found in dollars and cents but in Almighty God who is Creator and Owner of all.